Requiring SSL for SSO? Flick the switch! Where was I?, Oh yes, SSO. Well being the security conscious kind of guy that I am I configured SSO to require SSL. What that means in English is that in order to access your databases you must use SSL. Oh sure, you can login. And login. And login. You just ain’t gonna’ be able to actually “login” to the application. Know what I mean? 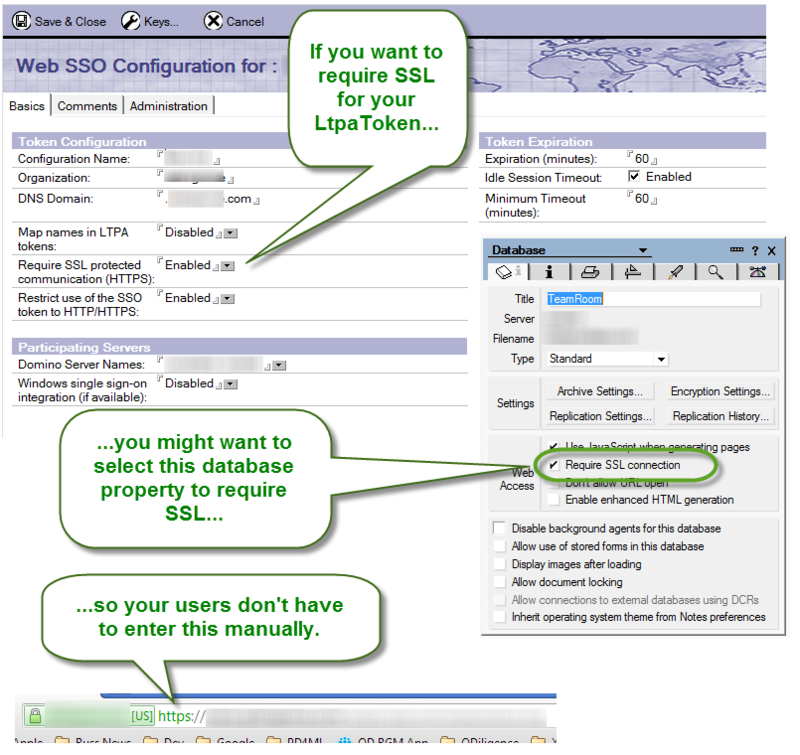 So my friends…if you do require SSL for your SSO then either tell your users “what? just type in https:// every time” or you can flick that nifty little database property to force an SSL connection to your database.